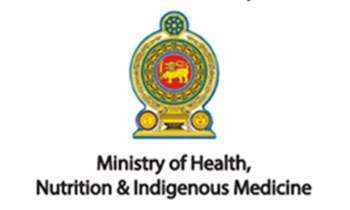 Commenting on the controversy related to imported milk powder, acting Director General of Health Services (DGHS), Dr. S.C. Wickramasinghe said yesterday imported milk powder is checked for quality and safety as set out by the Health Ministry under the import inspection scheme as an essential food item. He said the Sri Lanka Standard Institute (SLSI) was also entrusted to test all milk to ensure conformity to SLS731:2008. Explaining various stages of tests, Dr. Wickramasinghe said under the pre-shipment quality assessment, all imported shipments are accompanied by an analysis certificate from a laboratory accredited to carry out such tests. “This includes general quality parameters, microbiological analysis, analysis for Dicyandiamide and tests identified under Sri Lanka standards to detect adulteration with other fats namely Refractive index, Polenska value, and Reichert Meissi value. All consignments are accompanied by a health certificate from the New Zealand Ministry of Primary Industries. This assures a government commitment to the quality of the product and specifically condition (f) assures that the product “does not contain fats and oils of non dairy origin”. The World Health Organization (WHO) agreement mandates countries to accept health certificates from the exporting countries,” he stressed. In Sri Lanka, under import control measures, the SLSI checks for laboratory certificates of the general standard parameters, microbiological parameters, DCD and tests refractive index, Polenske value and Reichert Miessei value which are all indicative of adulteration of milk (other fat, vegetable or animal). The SLSI also ensures that the product meets the Sri Lankan standard for milk powder. The import inspection by the Food and Drug Inspectors under the Ministry of Health, Nutrition and Indigenous Medicine check the accompanying pre-shipment documents attached to the custom declaration form for completeness and check the food safety parameters. All Milk food samples are tested for radiation at the Atomic Energy Board and one in four samples are sent randomly for microbiology testing and percentage of fat tested at the food laboratory under the Ministry of Health, while samples are sent for DCD testing to the Industrial Technology Institute (ITI). Surveillance samples for fat and any other fat (adulteration) has been randomly checked as follows. Ministry of Health: 2016 – 02 samples, 2018 – 03 samples all have been normal (no adulteration). In 2019 – 5 samples have been sent for testing and awaiting reports. SLSI surveillance for fat and any other fat have tested 2 samples in 2017 at the ITI Laboratory and the reports are normal, the Acting DGHS said. Dr. Wickremesinghe emphasized that based on the above pre-shipment stringent testing of the exporting country and all testing done in Sri Lanka at SLSI, the Sri Lanka Atomic Energy Board, Food laboratories of the Ministry of Health and ITI have all confirmed that the imported milk powder is safe and not adulterated with vegetable fat or any other fat. Chinese food is the cheapest food in USA. Many American used to eat Chinese now they are not popular as used to. There are so many negative advertisement abou Chinese food but it is very popular among the low income level people and in inner cities because it is cheaper. I used to own a Italian outlet and I used to huge warehouse to buy chicken I saw Chinese were buying expired chokeberries. Regularly chicken breast is 2.99 per pound but expired chicken in 50-70 CT’s per pound. Does the number of samples randomly checked is sufficient and comply with standards for minimum random number of samples to be tested. It is important to comply with minimum number (based on the total sample, that is total stock imported) to be tested to draw conclusion from those tests. It is unlikely that testing 3 samples for the whole year to conclude that there is no adulteration. It is over to you, DGHS. We know and have enough previous experience how the importers manipulate the certificates generated at the origin of consignment.